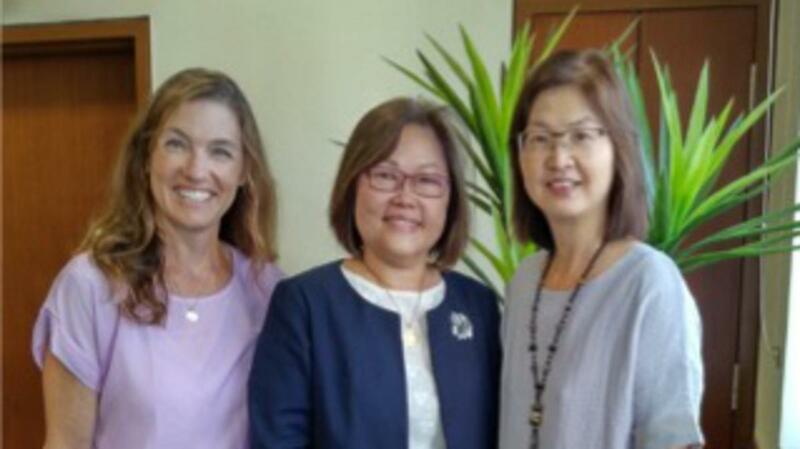 Sister Cecilia Yow, the newly called President of the Stake Relief Society, and her two counselors are excited about the recent challenge issued by President Russell M Nelson to minister to the sisters instead of making monthly visits as visiting teachers. She announced that the presidency is working on a training program to prepare the ward Relief Society leaders to start ministering to the sisters. 'It is a blessing to serve in the Lord's Church. To minister as Christ did, our sisters must seek the best ways to watch over and care for each sister. Ministering is to help others feel our Saviour's love,' Sister Yow said. Sister Mary Ann Osumo and Sister Alison Jensen are serving as the First and Second Counselor in the Stake Relief Society Presidency respectively. Sister Leong Jiu Pheng is the Secretary.